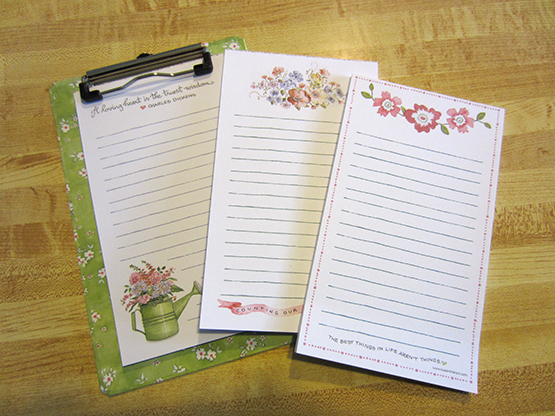 Clipboard and set of three different notepads. Clipboard measures 6" x 9". Notepads measure 4.5" x 7.75" and have 40 sheets each.